Live it! 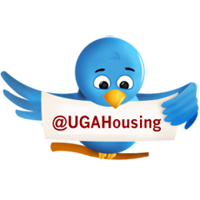 UGA Housing: Find the art on UGA's campus and win BIG! Find the art on UGA's campus and win BIG! Do you love the theatre? So do we! 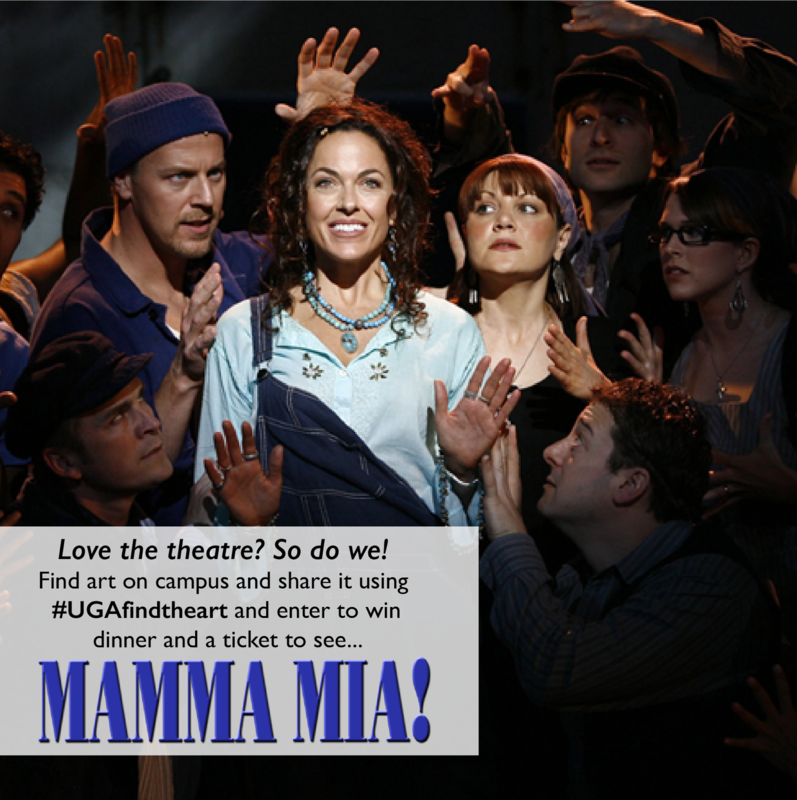 To prove it Residential Programs and Services (RPS) of University Housing has a unique opportunity for eight lucky residents to enter to win dinner and a ticket to the smash hit musical Mamma Mia! at the Fox Theatre in Atlanta. All you have to do is find art on UGA's beautiful campus -- it can be sidewalk chalk, a sculpture, a painting in the halls, or a mural on a wall -- and share it with us on social media using #UGAfindtheart. We'll randomly select eight winners and provide dinner and transportation on the night of the show. Residential Programs and Services (RPS) at University Housing is committed to creating opportunities for residents to participate in a wide variety of arts events taking place in Athens and Atlanta during the academic year. For more information on RPS Supports the Arts, please visit our website.